I’ve never noticed that underlined bit before. 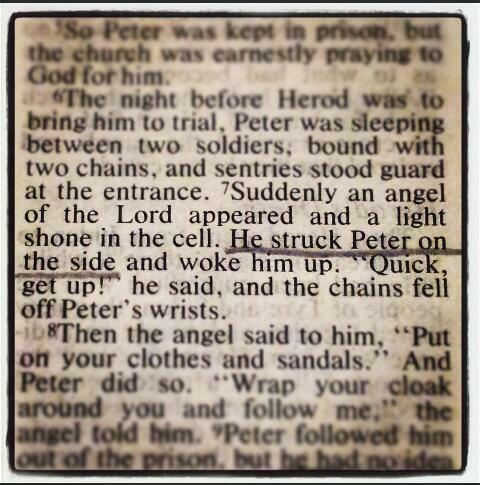 I’ve now got a great mental image of a glorious angel, glowing bright, possibly wielding a flaming sword, filling the cell…and failing to attract any attention whatsoever, and having to resort to kicking Peter in the ribs to wake him up! I suppose in a way you could see it as a lack of faith, as the people praying for his release are often accused of when, later in the chapter, they don’t believe their prayers have been answered and he’s already at the door. His and their first assumption is not ‘oh good, God has answered our prayers’, but ‘something supernatural must be going on’. 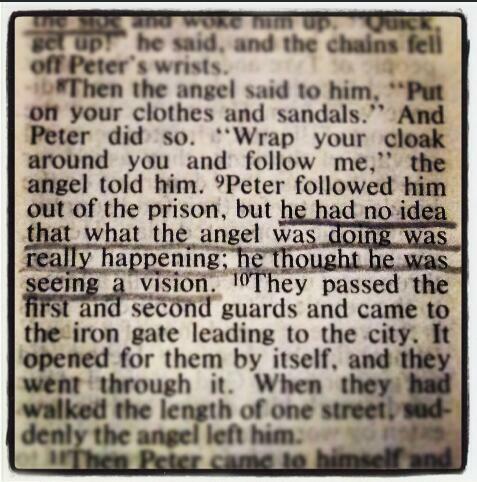 Maybe, though, it just shows that they lived in greater expectation of God communicating through dreams, visions and miraculous signs than we do. 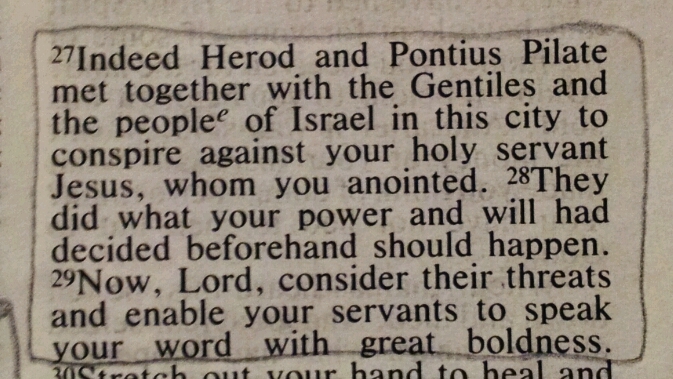 Not much to say about this, really – it’s in the story about Peter being called to the house of Cornelius the centurion and realising that God loved (loves) Gentiles, too, not just Jews. It stands alone as a general point, though: God does not show favouritism. There are no celebrities in his kingdom, and no one is excluded.